Just extremely nice service and delicious food. Toll declared card with extra glu lac and vegetarian meal. Reservation mandatory on weekends. http://restaurant-brodocz.de/wp-content/uploads/2016/12/brodocz_logo_120.jpg 0 0 admin http://restaurant-brodocz.de/wp-content/uploads/2016/12/brodocz_logo_120.jpg admin2016-01-24 08:11:082017-01-20 14:54:35"Just great!" Nice and cozy restaurant in the city centre. Very friendly and nice service, great food. Super vegetarian dishes, but also excellent meat and fish dishes. The price is right. We know quite a few vegetarian restaurants in various cities. This restaurant is to recommend one of the best and very. http://restaurant-brodocz.de/wp-content/uploads/2016/12/brodocz_logo_120.jpg 0 0 admin http://restaurant-brodocz.de/wp-content/uploads/2016/12/brodocz_logo_120.jpg admin2015-12-22 07:07:042017-01-20 14:55:06"Great organic restaurant"
We were already a few times here. Here is cooked only organic and vegetarians as well as meat-eaters come at its expense and especially enthusiastic, there are also whole wheat pasta in the offer. In addition to a solid card, there are always changing daily specials, but also times which are. Reservations strongly recommended. The price level is slightly higher, just organic. 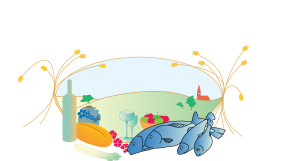 http://restaurant-brodocz.de/wp-content/uploads/2016/12/brodocz_logo_120.jpg 0 0 admin http://restaurant-brodocz.de/wp-content/uploads/2016/12/brodocz_logo_120.jpg admin2015-10-09 22:12:162017-01-20 14:55:23"Great organic restaurant"